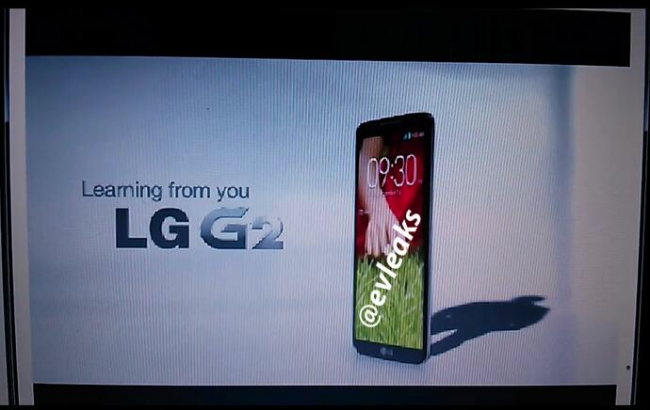 Thanks to a series of video screenshots posted by famed leaker @evleaks, we may now know additional details of LG’s upcoming Optimus G2 or just “G2.” The device has been rumored since last November, with benchmarks potentially confirming its processor (Snapdragon 800) and even what many believe to be the first photos of it popping up here and there. It should be a “super” phone, to put it plainly. So what have we learned tonight? Assuming these screenshots from a promo video are real, we’re looking at an incredibly thin phone with the closest thing to an edge-to-edge display we have seen to date. You may remember this photo of an LG device that first appeared back in May, showing an almost bezel-less rim around the display? It certainly looks a lot like the device featured above. 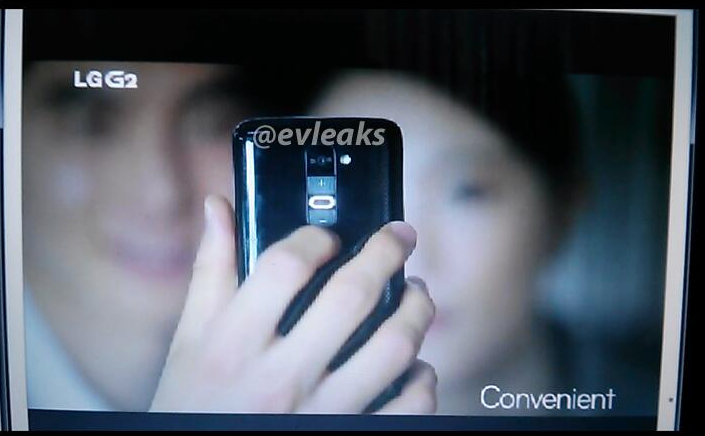 But speaking of thin, these shots show a device that is so thin that LG has moved the volume rocker from the side to the back under the camera housing. Seems like an odd move, right? In additional screenshots, LG is trying to sell the idea by showing a user holding the device in a typical way that places an index finger directly on the spot of the new volume rocker. If you grab your phone and hold it up to your head, you may find that you also hold your phone this way. So, I’m certainly willing to give this idea a try if it lands us a thinner device profile. 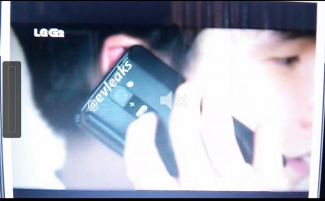 Last, there also appears to be a notification light between the volume up and down buttons on the back. We would also assume that the physical home button on the front of the device will have a similar notification light around it, so by adding the backside light, one would be able to catch notifications whether their phone is lying face down or on its back. 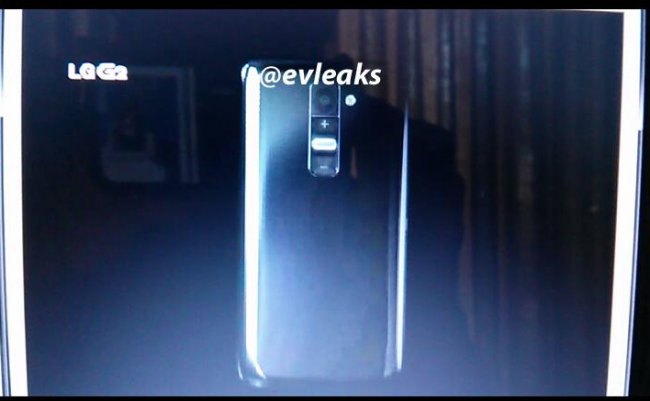 Edit: The front may not have a physical button, and could be an LG logo instead. Would be unfortunate to have only a notification light on the back of the phone. I personally, never lay my phones face down. LG has an event planned in NYC on August 7 to show off something new from their mobile division. If I were a betting man, I’d drop some cash on the topic involving this phone. Thoughts on a rear volume rocker? What about the overall design?